"In the last two centuries, the Church has made apparitions of the Virgin Mary an evermore important part of the Christian religious experience and doctrine. Some critics argue the popularity of the Catholic Faith is largely maintained by the popularity of the Virgin Mary. The so-called “Marian Era”, i.e. the period when the Virgin Mary began to appear and offer messages to those that saw her, began in the early 19th century, with a series of apparitions, of which Lourdes is no doubt the most famous. 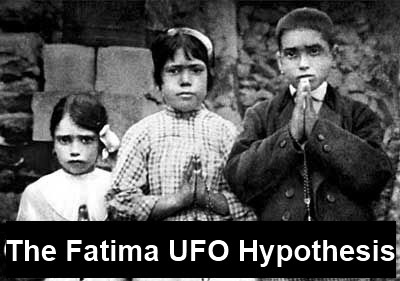 But the most intriguing apparition occurred in the early 20th century, in the Portuguese hamlet of Fatima. First hour guest, author Jonathan Maberry talked about the historical roots of supernatural and paranormal creatures such as zombies, werewolves, and vampires. Having written about many of these entities for his books, Maberry observed that the werewolf is a "very complex and interesting monster that has a very real connection to our modern world." Last three hours guest, George Noory was joined by Father Nicholas Gruner, one of the world's leading authorities on traditional Roman Catholic doctrine and practice, for a discussion on the series of apparitions at Fatima, Portugal from May to October 1917, in which a number of predictions, requests and warnings were allegedly conveyed by the Virgin Mary to three shepherd children. A new pope was elected on 03/13/13 whose name is Pope Francis I. I decided to write about the coincidence or significance of the date in which the new Pope was elected. The number three may reflect the third prophecy of Our Lady of Fatima which was suppressed by the Papacy especialy by Cardinal Ratzinger. The Third Prophecy of Fatima was given to Sister Lucia one of the children who saw the vision of Fatima. 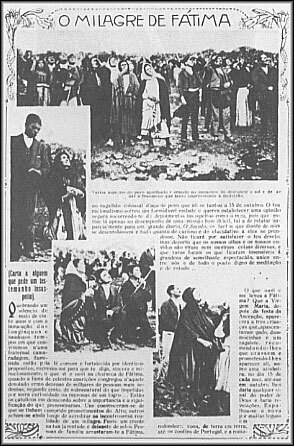 The apparitions occurred on the thirteenth day of six consecutive months starting on May 13 1917. The children called he Our Lady of the Rosary. The Third Prophecy was released in the year 2000 . "After the two parts which I have already explained, at the left of Our Lady and a little above, we saw an Angel with a flaming sword in his left hand; flashing, it gave out flames that looked as though they would set the world on fire; but they died out in contact with the splendour that Our Lady radiated towards him from her right hand: pointing to the earth with his right hand, the Angel cried out in a loud voice: ‘Penance, Penance, Penance!' And we saw in an immense light that is God: ‘something similar to how people appear in a mirror when they pass in front of it' a Bishop dressed in White ‘we had the impression that it was the Holy Father'. Other Bishops, Priests, Religious men and women going up a steep mountain, at the top of which there was a big Cross of rough-hewn trunks as of a cork-tree with the bark; before reaching there the Holy Father passed through a big city half in ruins and half trembling with halting step, afflicted with pain and sorrow, he prayed for the souls of the corpses he met on his way; having reached the top of the mountain, on his knees at the foot of the big Cross he was killed by a group of soldiers who fired bullets and arrows at him, and in the same way there died one after another the other Bishops, Priests, Religious men and women, and various lay people of different ranks and positions. Beneath the two arms of the Cross there were two Angels each with a crystal aspersorium in his hand, in which they gathered up the blood of the Martyrs and with it sprinkled the souls that were making their way to God." Many rumours and conspiracy theories surround the prophecy and the former I find it a coincidence that the new Pope is elected on the thirteenth. The Third Prophecy and the Maalchy Prophecy both hailed a turburlent time ahead for the Church. Another event that happened on the same day was the Rover on Mars announcement that Mars could have supported life long ago in its past. A step closer to the reality that one day we will find life on other planets gets closer. A Catholic Church seems to agree with that possible reality with their conferences exploring the ramifications on religion if life is found. Who knows Pope Francis I may see that day come. The apparitions at Fatima made waves in the Christian community, but examined in a different light, they could hold the same significance for ufologists, mystics, and modern consciousness researchers. Not only are the apparitions incredibly well attested to - with upwards of 70,000 witnessing the events’ culmination in October 1917 - but they are some of the most fantastical on record, blurring the lines between angels and aliens, miracles and mysticism.